Whimsical Raised Beds. Make Them Now. 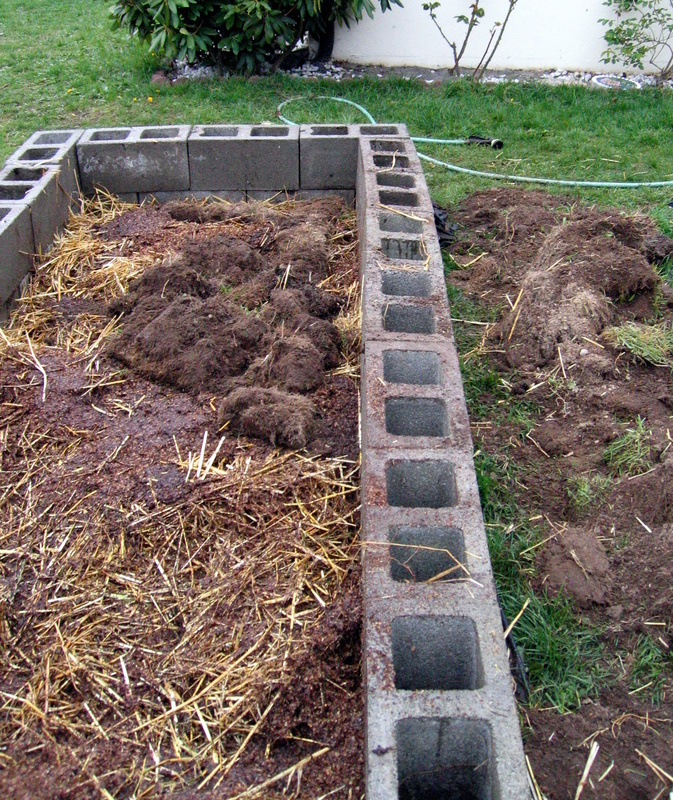 This was cross posted on the Urban Farm Hub on 3-11-10. Check out the Hub! People often ask about our raised beds. 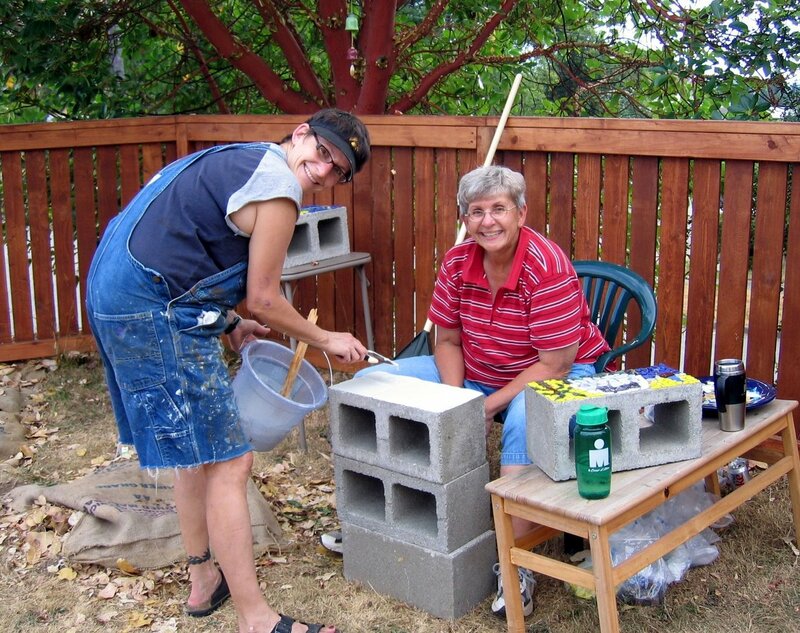 A few years ago I was taking the Comprehensive Organic Gardener class through Seattle Tilth and while walking around one the P-Patches I saw that a gardener had used a few painted cinder blocks as part of their plot’s bed. 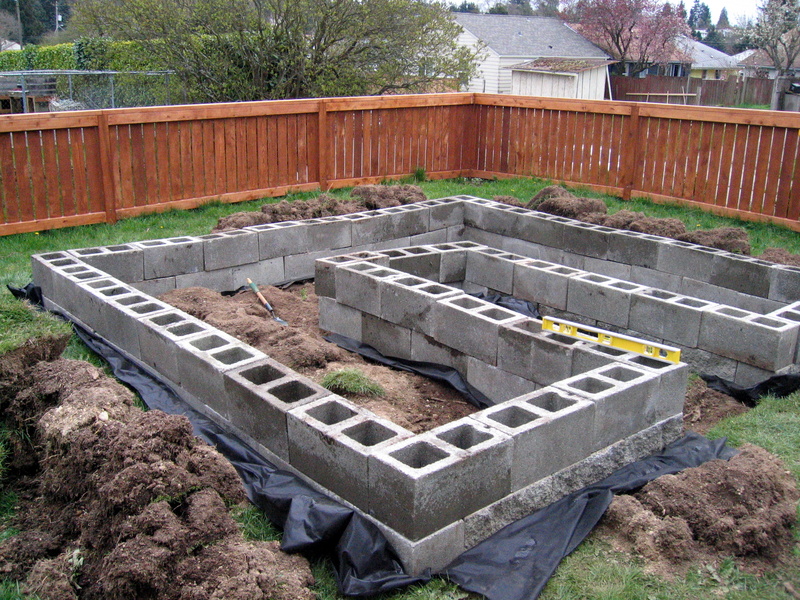 I brought the lovely ladyfriend to see the plot and told her that I wanted to build our new raised beds from cinder blocks and have friends/family mosaic them. 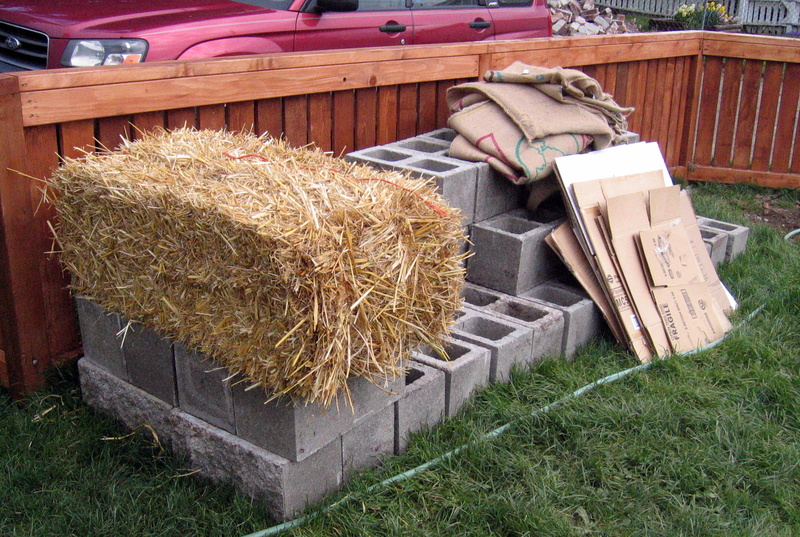 We were able to source all the cinder blocks used on craigslist inexpensively. And we bought some organic straw from Walt's and gathered up from cardboard. We plotted off the area with string and stakes. Grass removed- back breaker. Yowsa. Getting the blocks put in place with weed block underneath. Cardboard down. You want to make sure and removed all tape that won't break down. Then wet it down really well. Straw in! Wet this down thoroughly as well. Coffee grounds and chaff. Again, water down well. Putting back in all the sod that was removed earlier. Put them back in upside down. And, yep, water well. 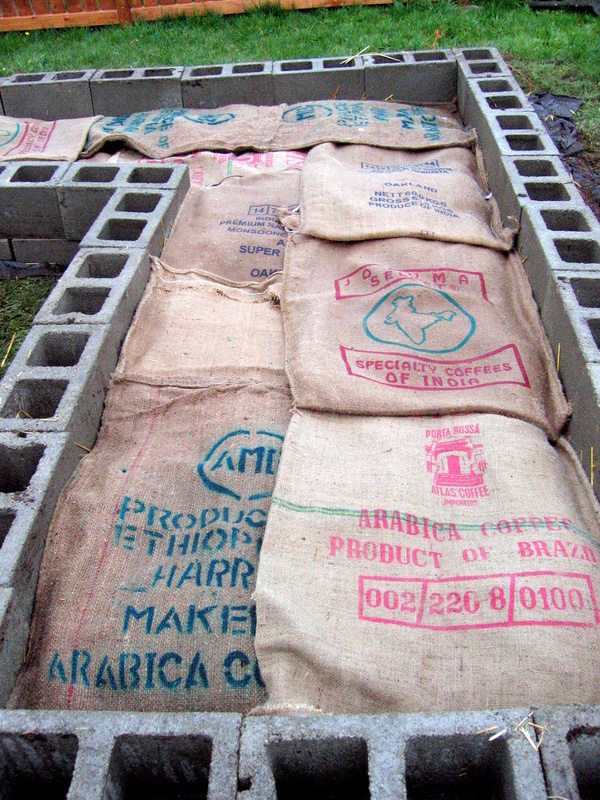 Cover all the well-watered down layers with burlap/coffee sacks. Now you can start the fun bit! Collect bits of broken glass, tiles, trinkets, etc. You can also buy some mosaic supplies. We got some of our glass from Bedrock in Seattle. Gather up some friends and put them to work! Some of the pre-grouted blocks. Nice, huh? Me, 5 months pregnant, and my mom working on some more. It helps to have awesome cousins willing to be on grout duty! 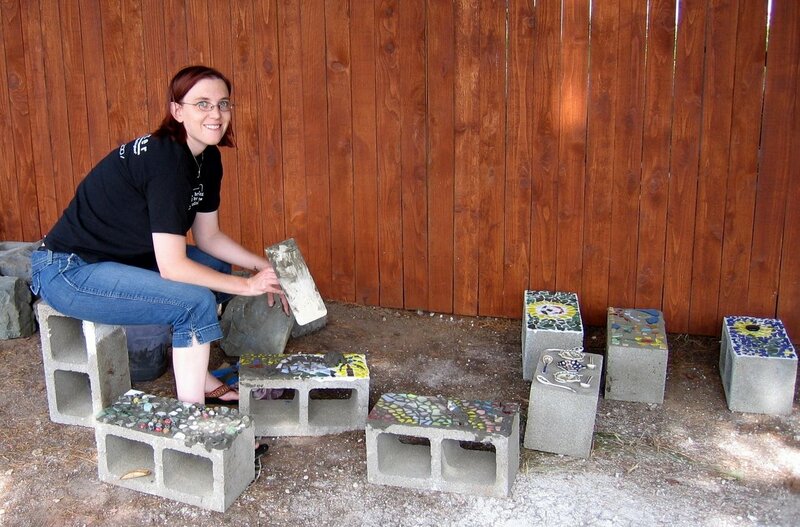 Mom with finished blocks in place. I love how they turned out! I think they add a real fun touch of color and art into the yard. First planting season (summer '07)- we just put in a few things for kicks as we were doing the rest of the hardscaping of the yard. 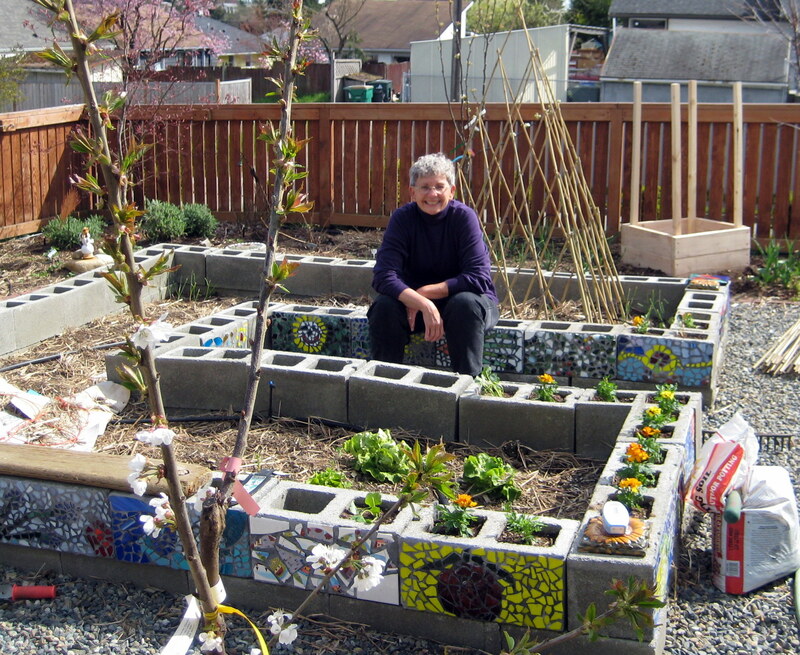 This entry was posted in Garden and tagged Garden, mosaic, raised bed, resistance, revolution, tutorial. Bookmark the permalink. 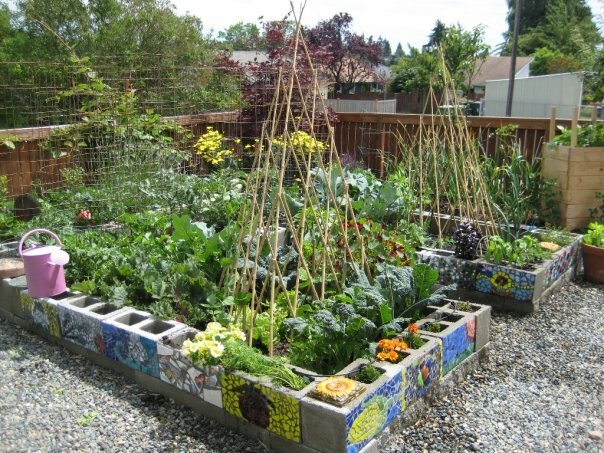 41 Responses to Whimsical Raised Beds. Make Them Now. It is so fun seeing the pre- and post yard! You have done so much in the short time you have lived there! 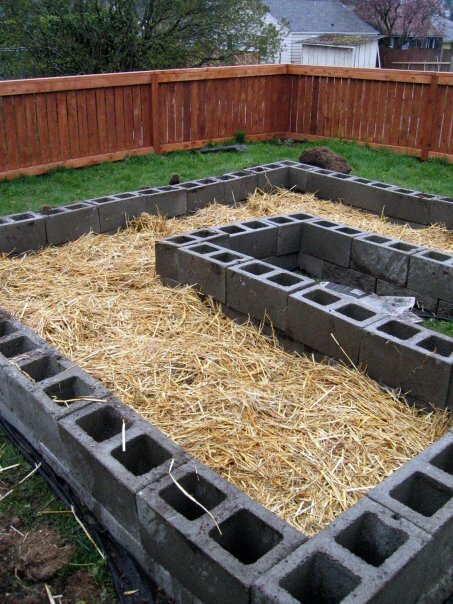 I loved the raised beds! I have some things (shells, sea glass, etc.) that we will bring up to make some more mosaic designs. I have some coral pieces that will be fun for some. 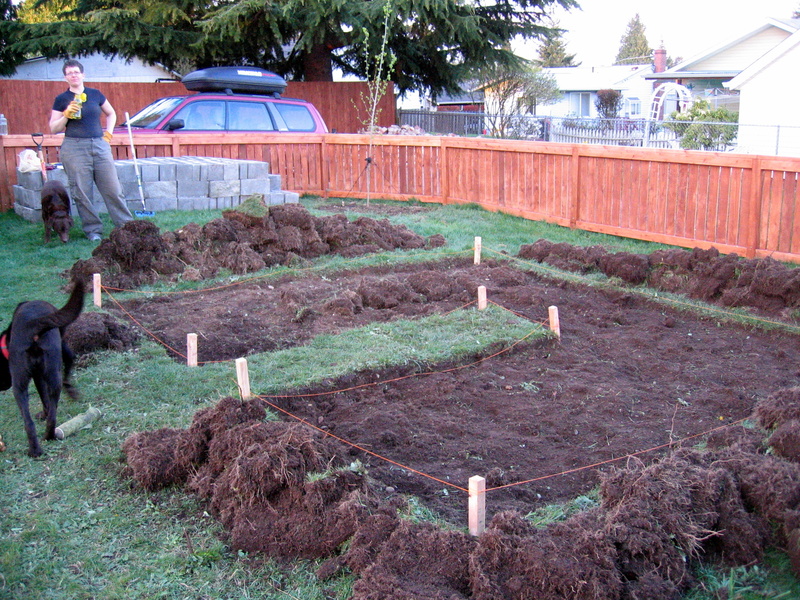 Where did you ever find out how to get the raised beds ready for a garden? 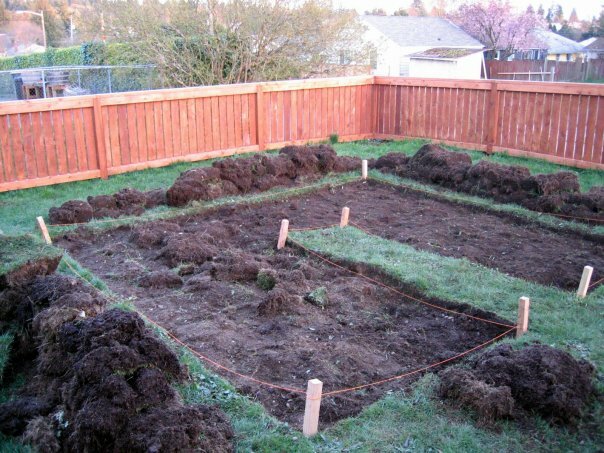 I love seeing the lawn ripped out to make way for a gorgeous garden! Soo cool. I’m slowly taking back my yard from the grass! your garden is awesome and inspirational! we’re trying to figure out how to make our beds as nice as yours! we rocked that garden!!! your blog is awesome…so proud to be your lady friend. 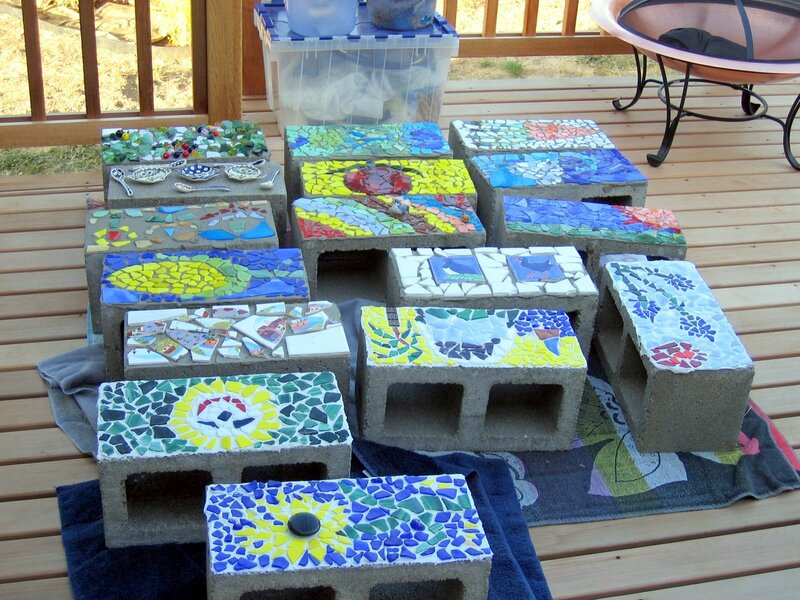 Excellent mosaic blocks! The whole garden is fun and a work of art. Hi Meg! Thanks for hopping over to Rehab! My son was near the computer while I was checking these beds out, and he said, “We HAVE to do that!” If we do, you’ll get full props. Oh boy! Fun! Fun! Fun! I love what you did. It is so amazing! I saw your photos on Life On Rehab blog and so I had to check out your site. Thanks for sharing! I love gardening as well. Love it! Thanks for coming over & checking it out! Let me know if you do something like it! I would love to see it! 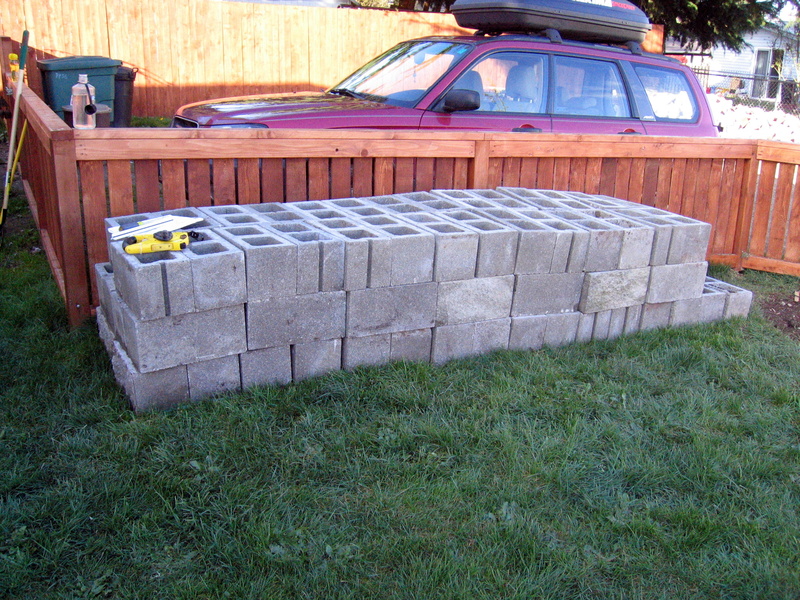 am working on raised cinderblock bed now and googled painting cinderblock, somehow came to your site, LOVE what you did. 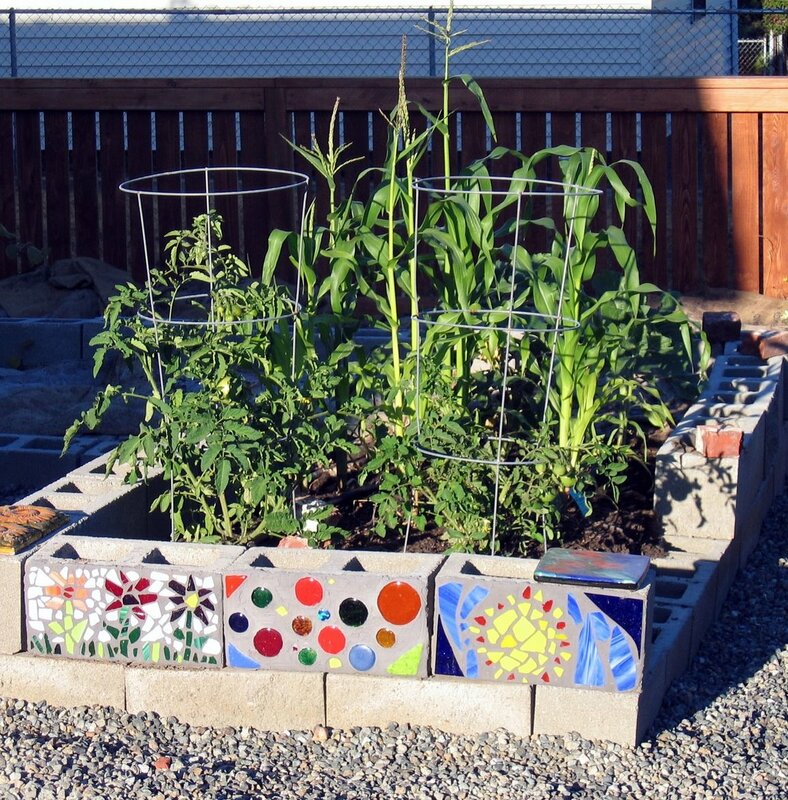 are there any worries w paint or mosaic contaminating veggies? I glad you like what we did! I can’t imagine that there would be any contamination issues from doing any kind of artistic work on the outside of the blocks. As for the inside– I’d just use your own judgement. I don’t believe there are any issues with the cinder blocks themselves. Thanks! Thanks Tara! It is a really fun project! We still have a lot more to mosaic. I’m thinking of painting some and mosaicing the rest. The Babylady is 2.5 now and might have fun painting some of them too. We are going to be on the Edible Garden Tour in a few weeks and hopefully I can get a few more done before then! You guys rock! I am taking pottery classes and did not know know what to do with my ugly pots. My garden will be super beautiful. Thank you, Thank you, Thank you! This is so awesome! 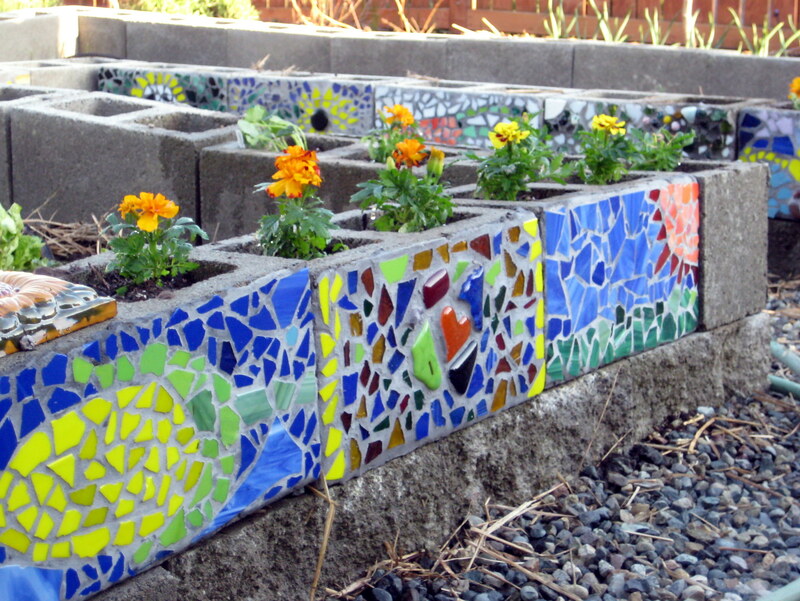 I have a raised cinder block garden bed and I have some mosaic tiles and broken ceramics… Guess what my next project is going to be c: Thanks for the inspiration! Oh my goodness, this is right up my alley!! I absolutely love this look. I am definitely a whimsical type gardener. Thanks for the photos and idea. What kind of grout used and it is weathering well, or must one seal it all? Thanks. I don’t remember what type of grout I used— I imagine I just searched for outdoor grout. I didn’t seal it and it is holding up fantastic! Loving these Meg – too funny; I pinned these without realizing they were yours! Cream floats to the top! 🙂 Also love the mosaic – couldn’t pin the final product; wonder if I’m doing something wrong? =) That is fun! The mosaics have lasted as well! No problems. I love them! Just wanted to say that I stumbled upon your photos and it has inspired me. 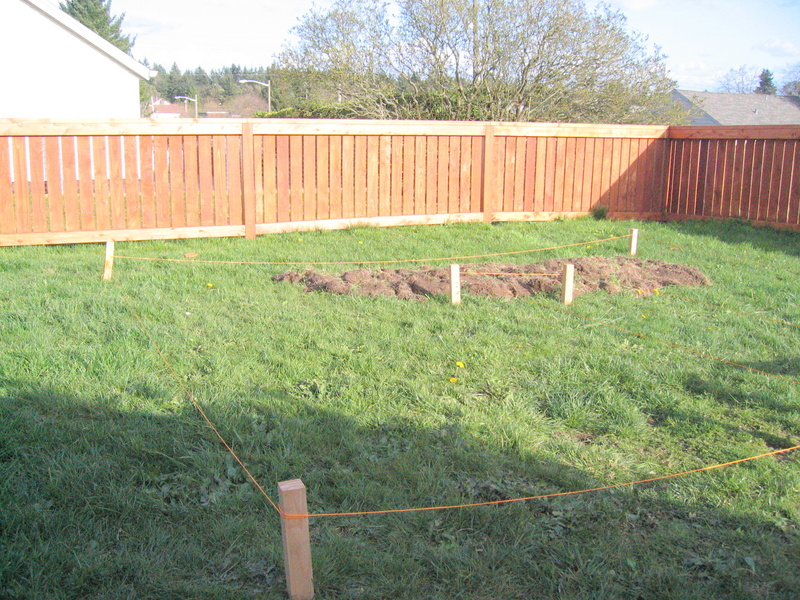 I have just started gardening, and put in some raised beds. 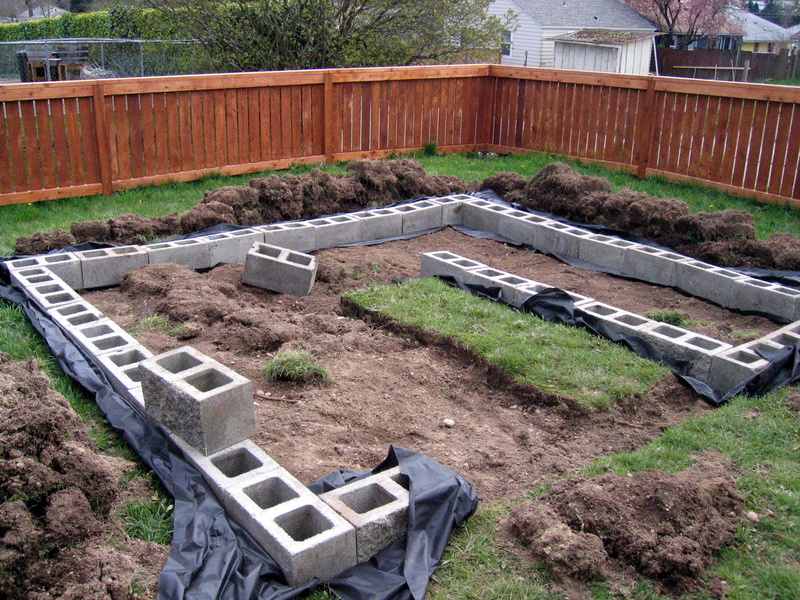 We wanted to border the space (eventually we will add some stepping stones and fine gravel between the raised beds) and were thinking besser/cinder blocks so I could have more space for herbs and strawberries. I have now done my first block, I have no idea what I am doing, but will learn through trial and error. But I am excited to be able to add some personality to what is currently a rather sterile garden. http://www.flickr.com/photos/64693712@N05/10235527195/ – garden without blocks. I’m glad you found it! And, your first mosaic looks fantastic! I’d love to see when you get more in! Thanks for coming by! Where did you get the chaff? I picked it up at a local coffee roaster, but it isn’t critical to the doing the layering! Use what you have around and available. Love the blocks! 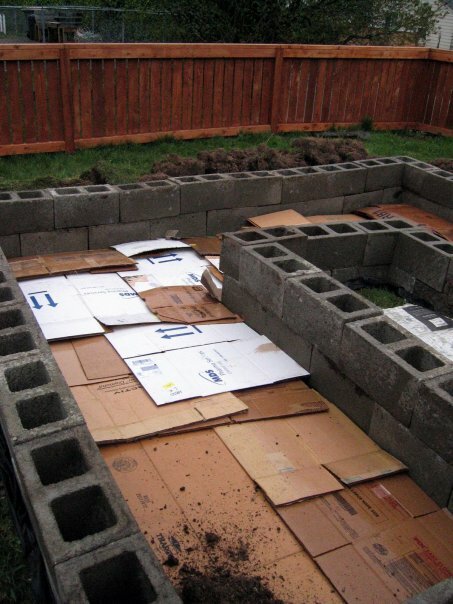 Am also using blocks for raised beds and plan on paintimg them to add whimsey to my garden. Save yourself some work…..no need to remove the grass first. 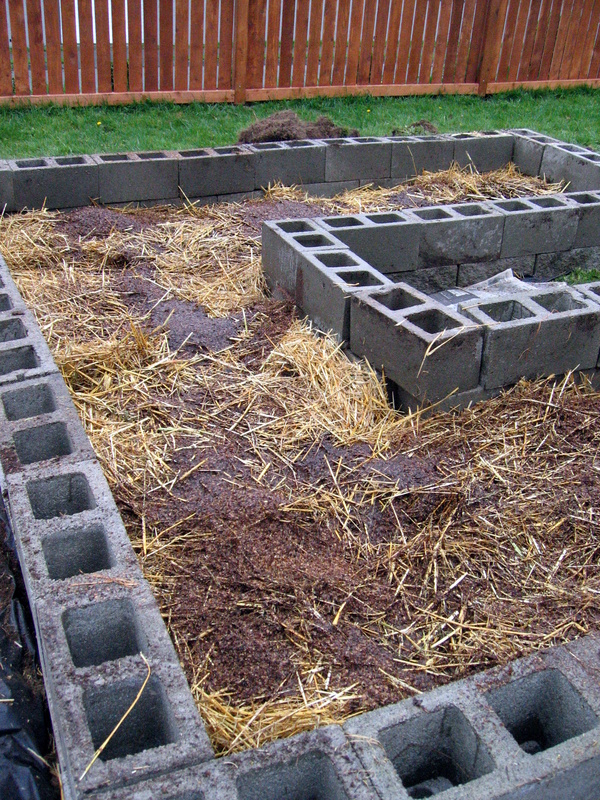 I have covered with cardboard & straw & dirt for every garden and planted right away. The grass will die.